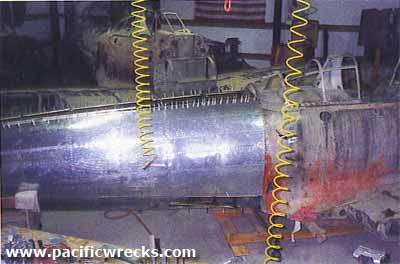 Disclaimer: Since 1995, Pacific Wrecks has been interviewing people involved with aircraft salvage and restorations to learn about their activities. The opinions expressed by the interviewees are solely their own and do not necessarily reflect the views or opinions of Pacific Wrecks Incorporated. 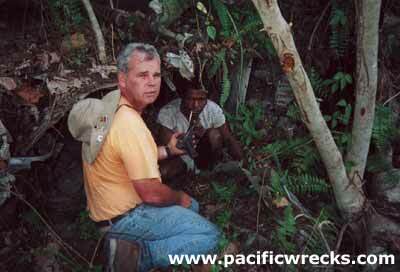 Those interviewed are not affiliated with Pacific Wrecks. One of the first 'warbird' restorers, early fame was restoring a Hurricane for "Battle of Britain" movie. 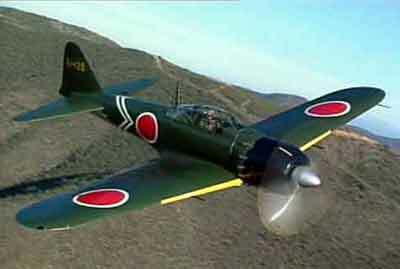 With those funds he recovered several Japanese aircraft and restored two Zeros and a the Val himself. 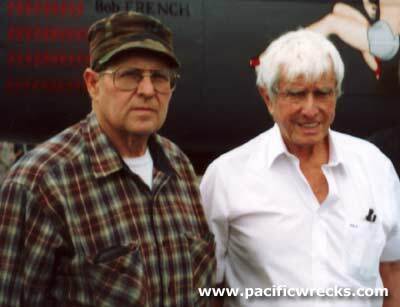 Fenstermaker began recovering wrecks recovering a Zero, Betty, Judy and Tony to the United States. He found American MIA cases during his travels and his focus switched MIAs. Salvager and restorer involved with various recoveries, co-recoveries and export of items from the PNG Museum. Salvager involved with recoveries, co-recoveries and exports from the PNG Museum. Tokyo based restorer and museum owner. Restored A6M5 Zero over 20 years, and the tail section of G4M2 Betty. 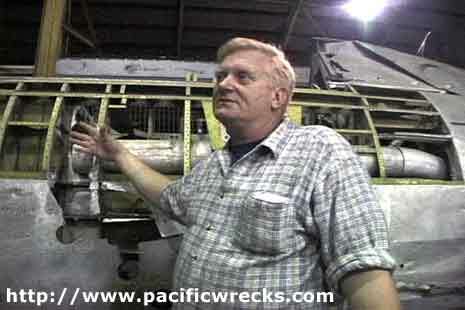 American aircraft salvager who has salvaged over 60 aircraft from 1973-1996. 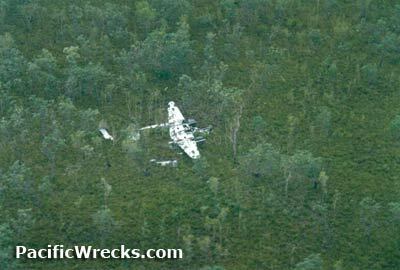 He has recovered portions of a B-17 from Alaska and P-38 in New Guinea. 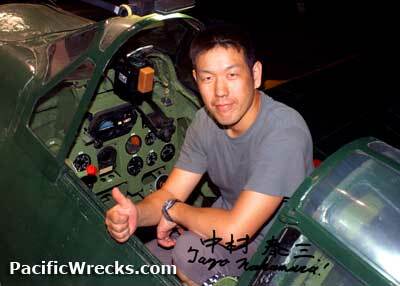 Founder of Planes of Fame Museum, restoration of A6M5 Zero 5357 in the 1970s and involved with numberous other aircraft and project. Learn about Nakamura's work with the Harada collection Zeros, restoring meticulous instrument panels and gauges for aircraft. 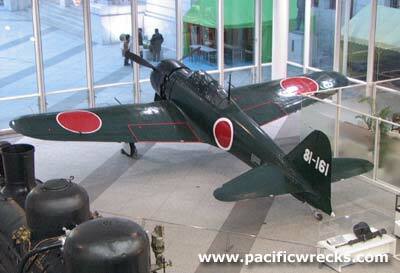 Also, his involvement with the crash sit of the crash site of Ki-45 4057 in Japan. 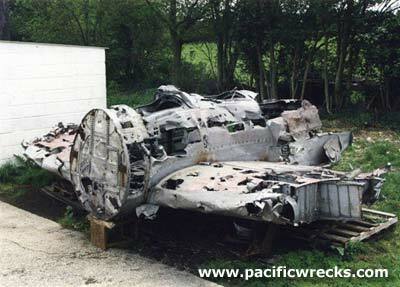 Recovered in 1991, all used as a source of parts for the restoration of one A6M3. One of the Zeros was later sold to the Imperial War Museum, the others were later sold to the Evergreen Air Museum where the one is still under restoration. Himself a WWII veteran, he recovered one of the world's last "Black Widows" from a mountain on Irian Jaya, and has been restoring it ever since. 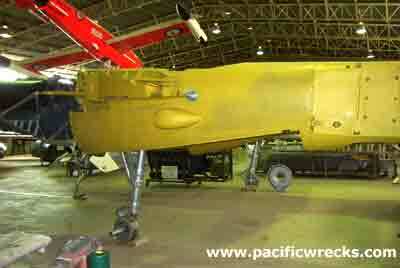 When completed it will be the only flying P-61 in the world, and only 2 others displayed in the world. 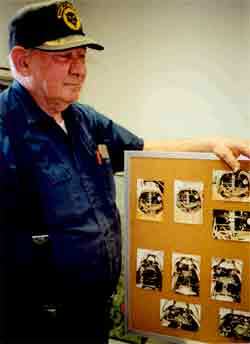 A veteran, an early warbird collector and restorer. Funder of one of the largest salvage operations in the world recovering dozens of aircraft from Tadji in 1973-75. 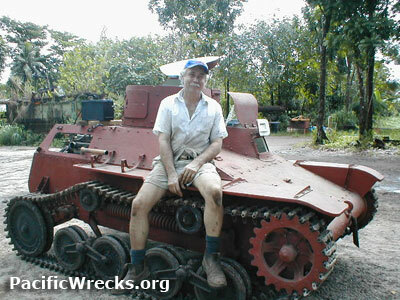 Salvage and restoration of warbirds from around the world, his collection includes former Pacific aircraft and ongoing salvage activities.